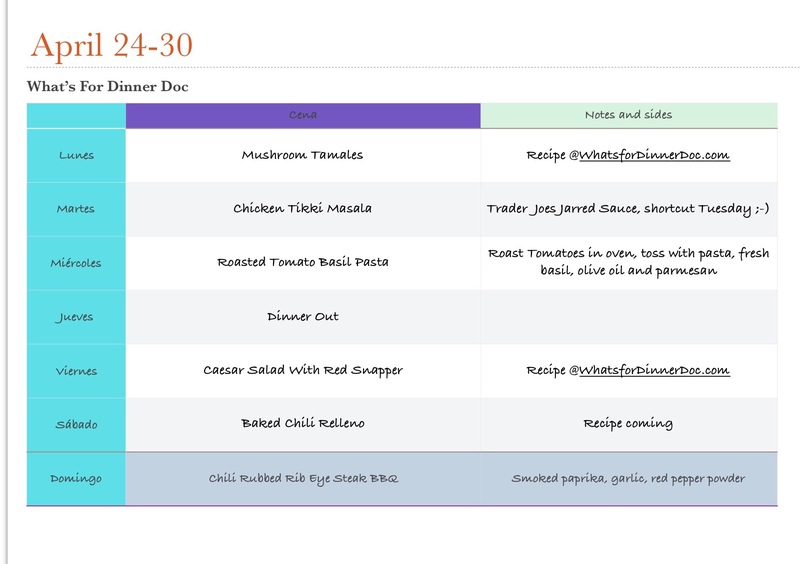 La Gringa Weekly Meal Plan – What's for dinner, Doc? Fiesta Friday, Fresh Fish, Healthy Eating, La Gringa Cooks, La Gringa Weekly Menu, Recipes, Vegetarian, What's in the box? Here are some of the fruits and vegetables that I bought at the Sunday Market this week. I paid 400 pesos ($22 US). I know it looks like a huge amount of produce but El Gringo and I will eat all of it. Possible side dishes and lunches this week. Fruit salads, caprese salad, cut carrot sticks, BBQ spicy green beans, pico de gallo, guacamole, red pepper strips. Slice Roma tomatoes in half length wise. Spritz with olive oil, top with fresh rosemary and thyme sprigs and sea salt. 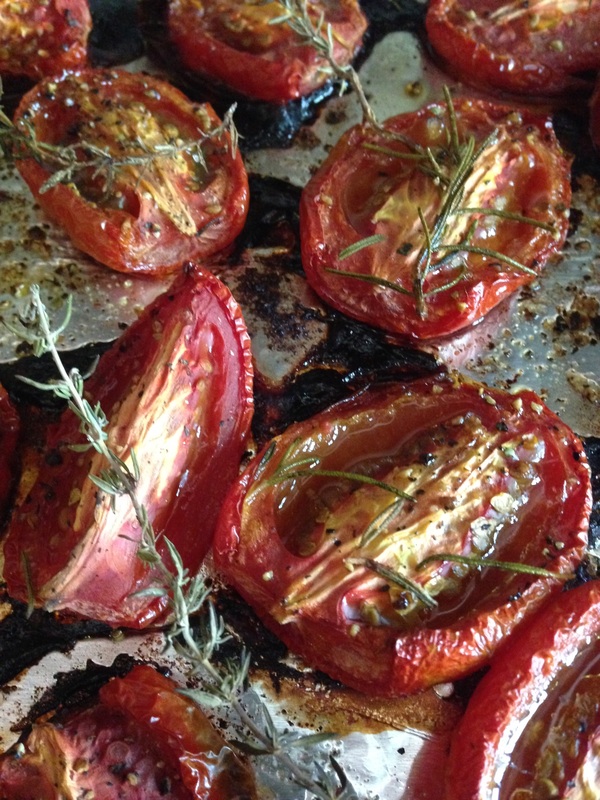 Roast in a 350 degree oven for 45 minutes until charred and partially dry. I added a head of garlic to the roasting pan. Cook any pasta as directed and save some of the cooking liquid. Toss chopped tomatoes, a handful of sliced basil, 1/4 cup olive oil or to taste, mashed roasted garlic and pasta water to lightly moisten the pasta. Toss with 1 cup of shredded Parmesan cheese and serve with salad and fresh fruit. Love all that gorgeous fresh produce! I’m so spoiled since we can get inexpensive, fresh produce year round. It doesn’t have to travel very far so they pick it when it’s ripe unlike in many places in the U.S. Imagine tomatoes that have never been in cold storage! (Now I’m just trying to make you jealous, 😎) Thanks Elaine. You’re very lucky!!! thats fab! That fresh produce is fabulous! Wow! You also inspire me to make a weekly meal plan. I think it helps otherwise I waste food or give in to eating out. Planning is also critical in rural Mexico because we only get really fresh produce on Sunday. And the fish guy comes on Saturday. I like the challenges. My ancestors came from Goa in India, which is rural, coastal town with coconut groves, tiled roof homes ,the pottery and chili peppers, so it could be the similarity, that draws me to Mexico.